Yes, the federal government is too big, and this proves it: the Pentagon has 400,000 civilian employees! This is not counting the 700,000 or so civilian contractors who also work for the Defense Department. Nor does it count, of course, our 1.4 million active-duty members of the armed services, and 850,000 reservists and National Guard troops. 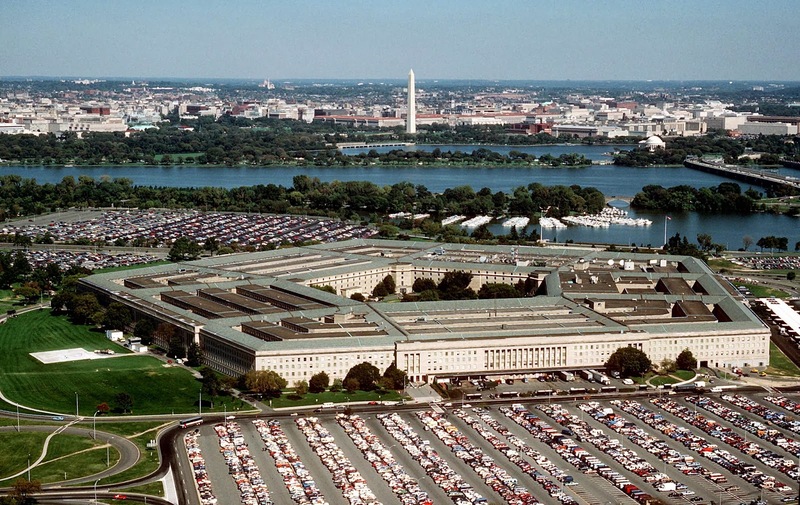 So altogether, about one percent of the U.S. population works for the Pentagon. That may not sound like a lot, but that makes it America's largest employer with about 3.3 million. By comparison, America's largest private employer Walmart has only 1.3 million workers. Furthermore, the Pentagon's annual "income" from taxpayers dwarfs Walmart's in the U.S. by 25 times: $682 billion vs. $27 billion! (2012 figures). So why aren't my fellow Americans in the Tea Parties complaining and agitating to shrink America's bloated defense budget? P.S. -- To head off some predictable retorts, first check out this fact sheet from the Center for International Policy, "Myths vs. Realities of Pentagon Spending."